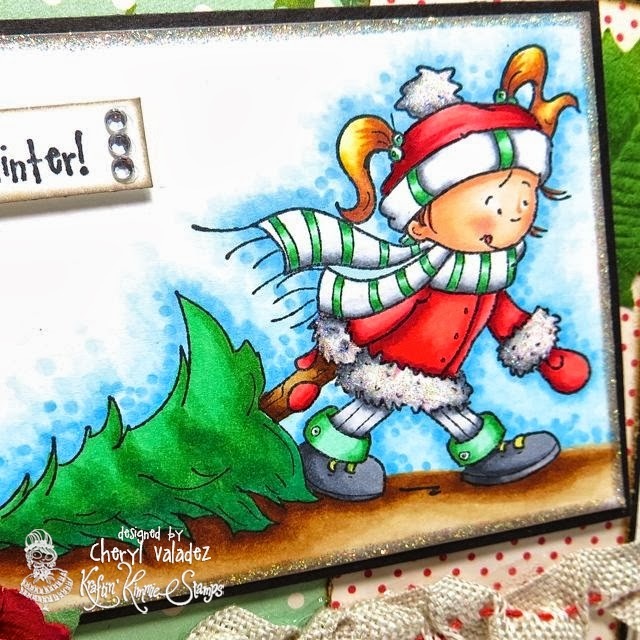 The Ink Trap: Day Two of October Krafty Peeks at Kraftin' Kimmie Stamps! Day Two of October Krafty Peeks at Kraftin' Kimmie Stamps! Welcome back to day two of our OCTOBER Kraftin' Kimmie Peeks!!! Today we are excited to share TWO supah cute new sets by artist Cheryl Alger just in time for holiday fun!!! We are sharing samples today featuring.......HAVE AN ICE DAY! and YOU'RE SO COOL! Then come on back tomorrow to check out MORE fun new stamps we have to share with you! And ALL the new stamps AND the new OCTOBER KARDMAKING KIT will be available on Saturday night at the KKStamps Shop!! Very sweet image ....love the embellishments and the ribbon. Love this card...the colours are so vibrant and of course the image is lovely. Thanks for sharing and inspiring me. 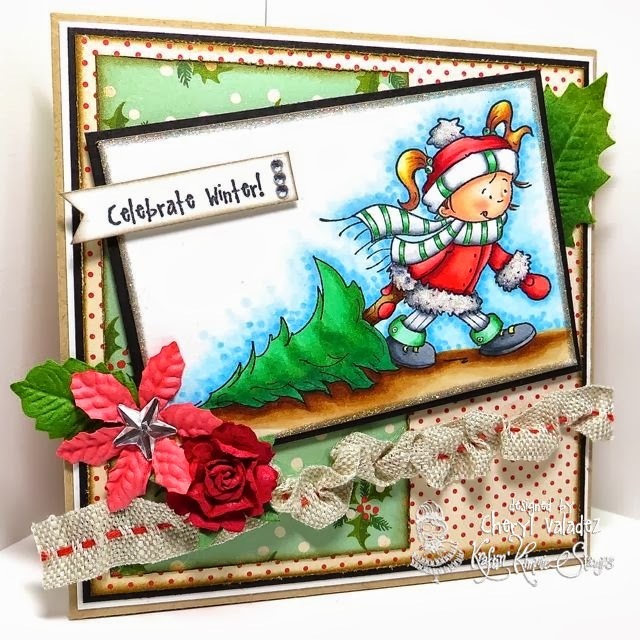 Gorgeous, bright and cheery card! Love the colors and that scrunched up ribbon is awesome! Cheryl; Lulu is so darn cute! Wonderful card! Just adorable and her tongue is sticking out!!! Just too cue!!! This is so beautiful card!! Beautiful card! Your coloring is gorgeous! I love this card. You did a great job coloring the image too! LOVE it....Love that the image takes up most of the card!!! It is such a great image!! Your coloring is fantastic and really brings out the Christmas feeling. So cute!!! Your coloring is fantastic! Love the flowers and the leaves.. Love the papers!!! Just wonderful!! Gorgeous card. Great colouring and design. Love that ribbon.